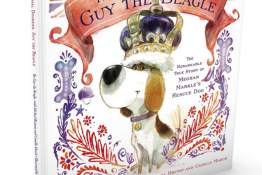 Dog lovers, I just spotted one of Daisy’s favorite dog toys on sale for HALF OFF right now. 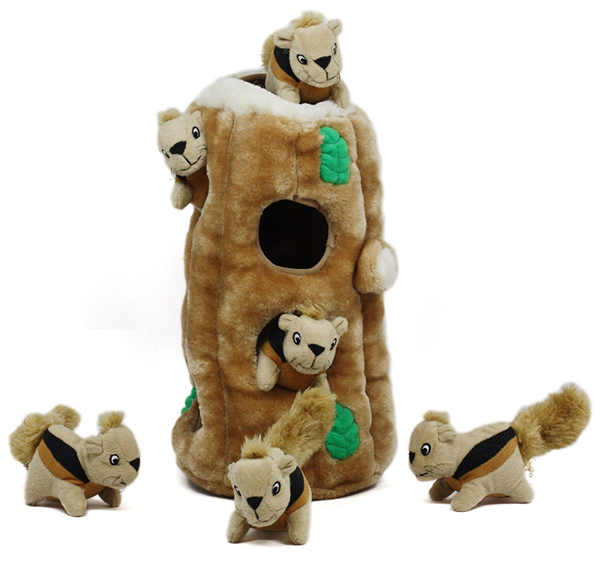 It’s the Hide-A-Squirrel and Puzzle Plush Squeaking Toy for Dogs from the fine folks at Outward Hound. It’s the Ginormous Size and the sale price is $14.99 ($15 OFF). 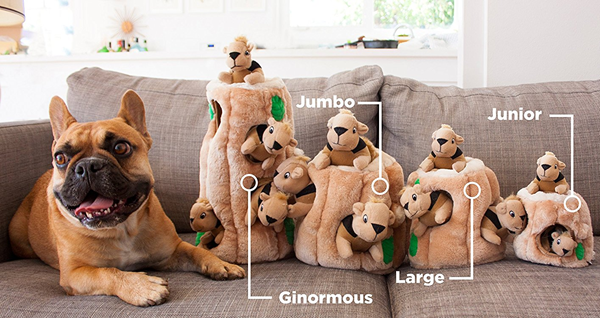 Other sizes are also available, but this one is the best deal since it’s got the most squirrels and holes to hide them in, making the activity more exciting and challenging for your dog. It’s the lowest price we’ve seen on this dog toy favorite since we reported it on sale for $15.55 back in 2012! This toy is very well-made, and I recommend you supervise the play with your dog. 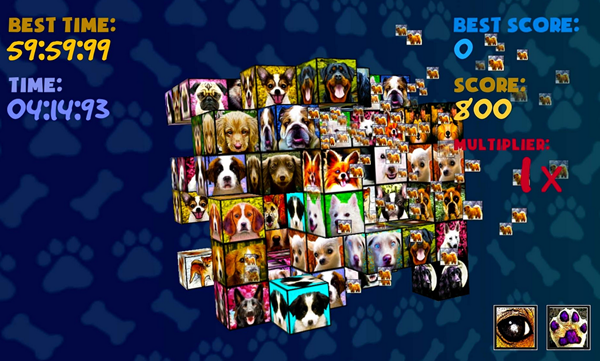 This will help keep your dog from chewing up the squirrels…it’s NOT a chew toy but an interactive puzzle toy. The way Daisy and I play is that I show her how I stuff the squirrels in the tree trunk and then hold it out while she figures out how to find each squirrel and pull them out of their holes. Sometimes she wants to run away with one of the squirrels, so I use the opportunity to practice “Bring” and “Drop” and reward her with lots of squeaks and start the game all over again. The squirrels are also fun for throwing in a game of fetch, and I sometimes use them for hide and seek, sticking one or two behind sofa cushions and letting her “find” them. I keep this toy put away in my office closet and she sometimes comes to nudge me and goes to the closet to show me she wants to play. I also keep her Indoor ChuckIt Set (also on sale) in the closet, too. I think these are her two favorite games because they both involve human participation and aren’t toys that are just left lying around for her to play with all the time on her own. Anyway, as with all deals, this one can change quickly and without notice so be sure to head on over HERE if you want one. And always remember to verify the price in your online shopping cart before checking out. The deal includes FREE 2-Day Shipping for Prime Members (or free shipping with min. purchase for non-Prime shoppers). Not an Amazon Prime Member? Try a FREE 30-Day Trial Membership and see what you’re missing! What do I love collecting & using more than just about anything? Colorful bowls and kitchen gadgets! Just when I feel like my collection is complete, I find ‘just one more’ I didn’t know I needed but now can’t live without. 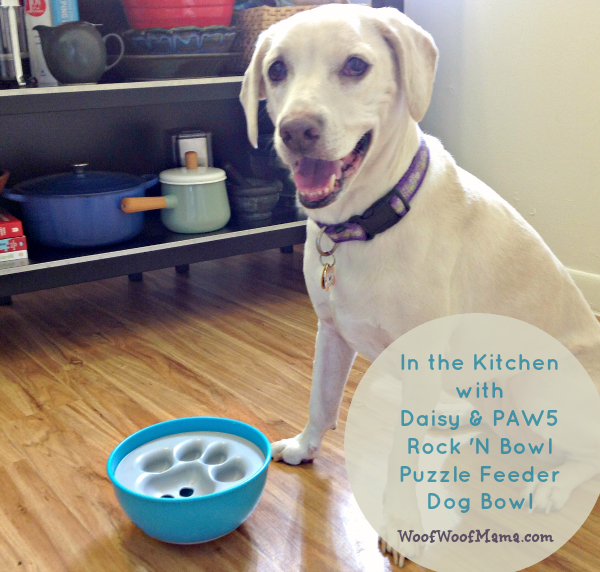 My latest discovery is actually a very special bowl for Daisy. 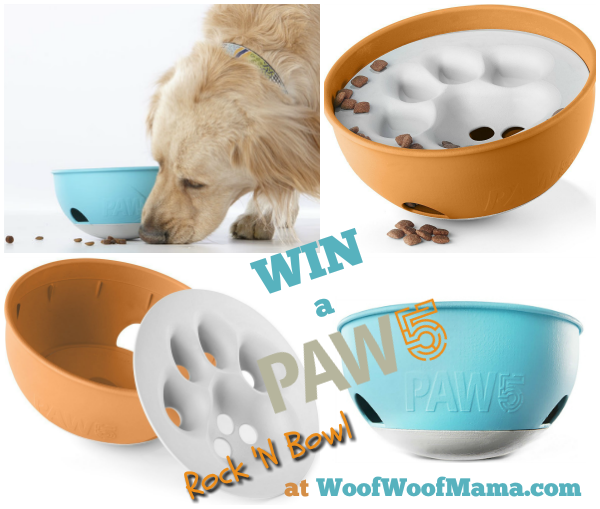 Thanks to our new blog sponsor, the dog-loving folks over at PAW5, we’ve been trying out their new Rock N’ Bowl. 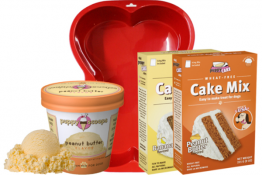 It’s part bowl, part puzzle and ALL kinds of fun! What looks like a standard bowl is actually a unique puzzle feeder that will have your dog thinking, problem solving and having fun all at once. By adding environmental enrichment and mental stimulation to mealtime, you can turn a boring, routine part of your dog’s day into a fun brainteaser. 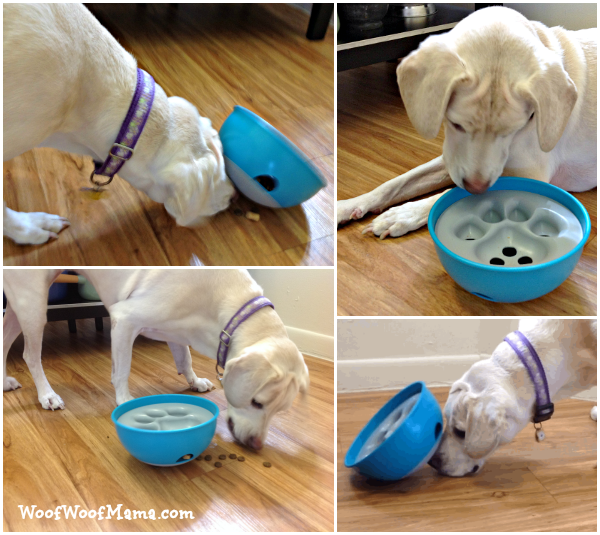 Just pour food directly into the top (as easy as a normal bowl), the food runs through a hidden compartment, and your dog will paw, nudge, and play his or her way through mealtime! 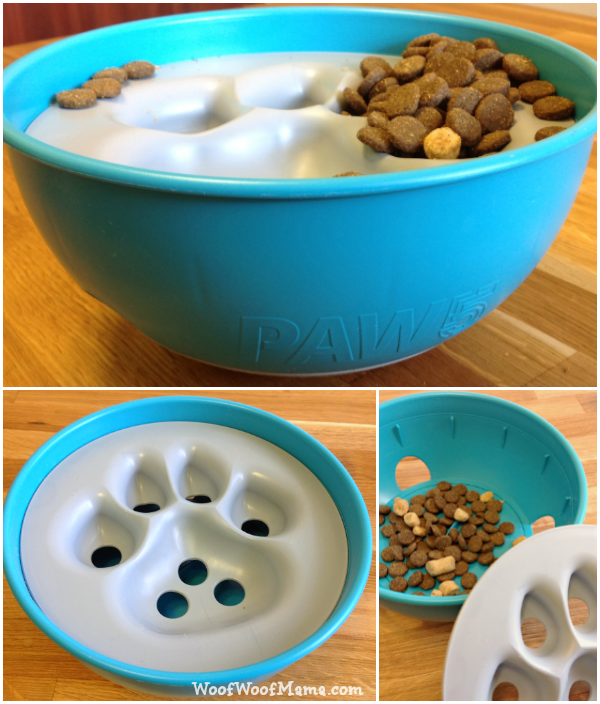 In addition to being super fun and engaging for your pup, the PAW5 bowl is also designed with pet parents in mind. 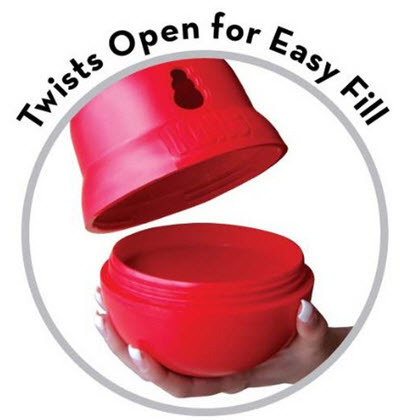 It’s dishwasher-safe and BPA-free; made in the USA and holds up to 4 cups of food, for any meal and any breed. Because PAW5 is committed to sustainability, they use a manufacturing process that results in almost zero waste. The bowl comes in your choice of blue or orange. You can visit the PAW5 website here to learn more and get one for your favorite fur kid. Also be sure to follow PAW5 on Facebook, Twitter and Instagram for great dog photos, special offers and info about future giveaways. Happy Tasty Tuesday everybody! 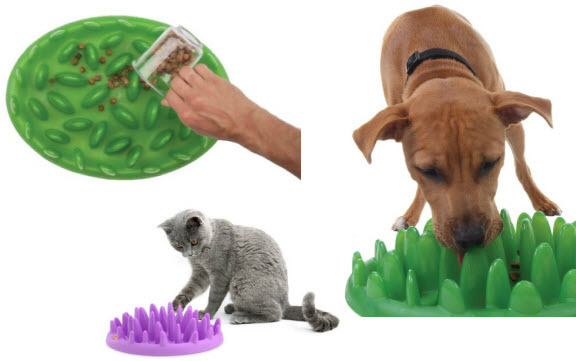 This week, we’ve put together a round up of some of our favorite interactive treat toys and feeders for dogs plus a couple that cats will enjoy too. Interactive toys and feeders are a really great way to keep your pet active, engaged and entertained while you are away, or to just get them motivated to work for their food or treats rather than just giving it to them. Many trainers recommend this and some call it the “no free lunch” concept. They are also really helpful for slowing down pets who tend to eat too quickly, which can lead to big health problems. My main reason for using interactive treat toys and feeders is to keep Daisy as busy as possible so that she doesn’t get bored while I’m working, or anxious when I’m first heading out the door. I’ve found by watching her on the PetCam, that as long as she’s happy and busy with treats for the first 10 minutes she’s left alone, she’s usually fine! Plus, she really seems to enjoy the challenge…you should see her tail wag when I get out one of her favorite feeders or toys. Most of these products can be used for either feeding or treating your fur kid, and have been Daisy Tested & Approved for fun and durability. 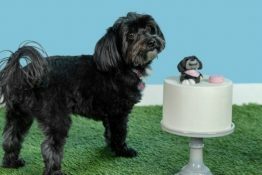 It’s important to observe your pet with the toy or feeder a few times before leaving them alone with it, since some dogs can break anything and that can be a safety issue when left unattended. 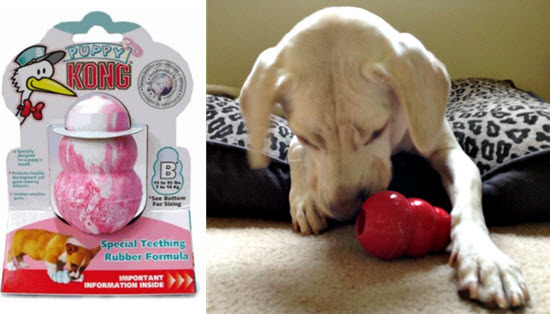 KONG Wobbler Treat and Food Dispenser Dog Toy: This toy is definitely one of Daisy’s top favorites! It’s one of the ones we’ve had the longest, and I love it because it’s held up really well, despite the tooth marks where Daisy has obviously tried to open it rather than “wobble” the treats out on occasion. You put treats or dry kibble inside and your dog bops and paws at it til the treats come back out through the little hole. They’ll bang it all over the place, and usually spend a good 10 minutes or so working to get the goods. Made in the USA. Comes in Small and Large. I think cats would enjoy this one too, since they love to bat at stuff! Interactive Green Feeder for Dogs (and Purple Feeder for Cats): This is one of the newer interactive feeding toys that Daisy has come to love. You just pour down the kibble or treats and your pet has to find and retrieve each piece from the blades of “grass” that make up the feeder. It really helps to prolong meal time and slows down your pet’s eating so they don’t get sick from bloat or eating too quickly. This one is great for staying in place, and difficult to tip over or bang around. It was larger than I expected, but turns out to be the perfect size! 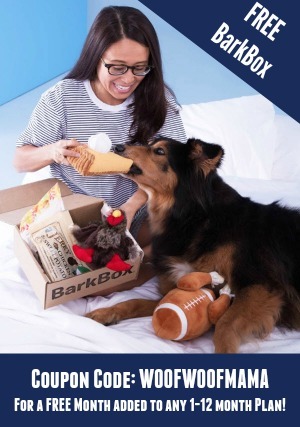 Getting all the food or treats should take anywhere from 10-25 minutes depending on how fast and hard your pet works. Read all the great 5-star reviews! Aikiou Interactive Pet Feeders for Dogs and Cats: Aikiou (pronounces IQ) makes a super fun feeder for dogs that is a puzzle toy. You can fill every compartment or leave some empty and then let your dog go crazy figuring out where the food or treats are and how to get into each spot. They also offer an interactive feeder for cats that is designed based on kitty’s hunting drive, with tubes to put food or treats in. KONG Classic Stuffable Dog Toy: Daisy has had a KONG Classic since we adopted her! First the Puppy KONG for teething puppies 15-35 pounds, and then the larger red one that you might recognize. They are almost everyone’s favorite because they are extremely durable, and super versatile. You can stuff them with peanut butter, bananas, greek yogurt, pumpkin puree…just about anything you can think of. You can also freeze them, which makes it even more fun for your pet and takes even longer for them to get everything out! Check out this ASPCA tip sheet on How To Stuff A KONG. 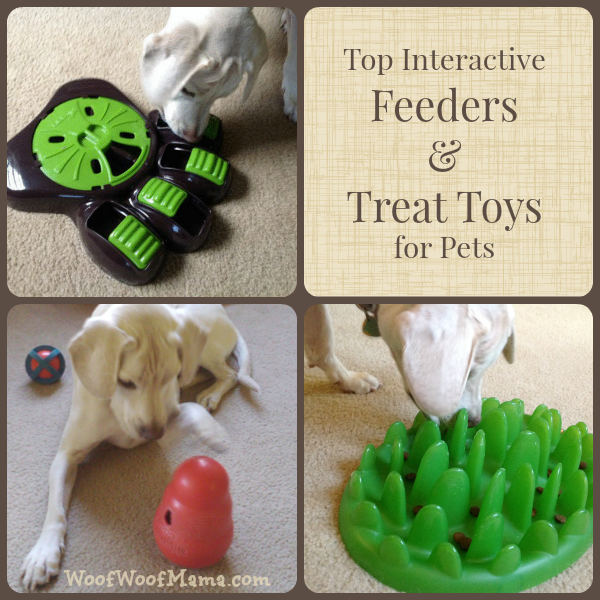 These are just a few of the interactive treat toys and feeders out there. We’ve tried several more that we really like, but we’ll save those for another list! Does your dog or cat have a favorite? Have you ever tried using an interactive treat toy with other pets (rabbit, hamster, guinea pig, etc)? Let us know by leaving a comment below. We’d love to hear from you! 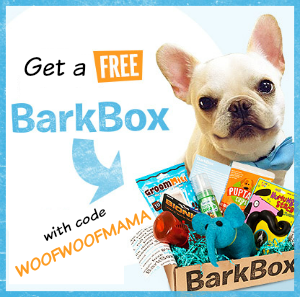 Time for another pawsome giveaway for all our dog and cat pals!!! 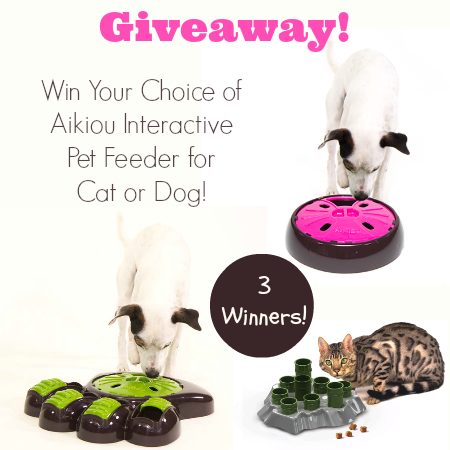 Thanks to the kind folks from Pet Product Innovations, we’re giving away THREE of their super FUN and interactive Aikiou Pet Feeders! If you missed our recent review of the Aikiou, be sure to go here and check it out to see Daisy in action and read about how much we like ours!